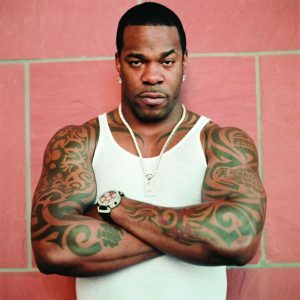 Busta Rhymes possesses one of the most recognizable vocal timbres in rap music. His West Indian-tinged lyrical flow, psychedelic garb, and endearing rambunctiousness helped turn Rhymes into a rap superhero, an urban warrior straight out of the P-Funk tradition. He is known for his outlandish style and fashion sense depicted in several innovative music videos as well as his intricate rhyming technique, rapping at a high rate of speed with heavy use of internal rhyme and half rhyme, and has received 11 Grammy Award nominations for his work. Over the decades Rhymes’ career continued to collect further successes as he tirelessly kept producing albums and hits, gaining a worldwide audience and recognition. With smash hits such as ‘Woo Hah! Got You All In Check’, ‘Put Your Hands Where My Eyes Could See’ and ‘Break Ya Neck’, including eleven Grammy nominations spanning his twenty-year long career, Busta Rhymes has seen and done it all.